We specialize in buying gold coins, gold jewelry, diamonds, gems, rare coins, sterling flatware, watches, antique jewelry, old costume jewelry accumulations, precious metals, gold, platinum, silver, industrial metals, palladium, iridium, as well as war relics and Indian items. We buy entire collections and estates. Why take your items to auction services when they charge 30% commissions. 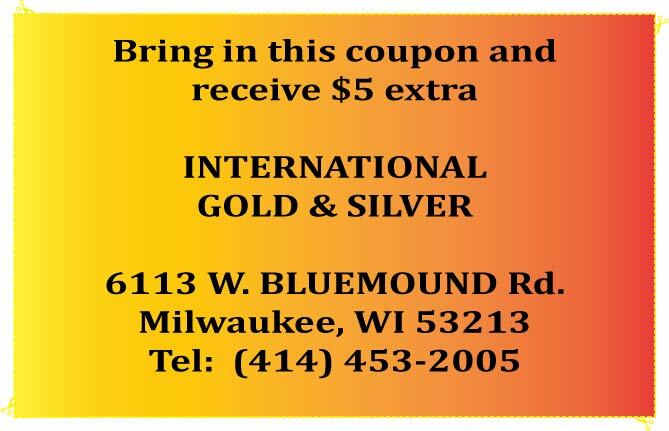 Deal directly with International Gold and Silver. You can Sell Your Gold for fast Cash - We Pay Cash, no need to wait for checks.